A Non-Governmental Organisation, Legacy Initiative International (LII) has advocated the need for religious leaders to always vet candidates before encouraging electorate to vote for them. To this end, an initiative for Christian and Islamic religious leaders to collaborate, with a view to interrogating the capacity of political office seekers has been unveiled. 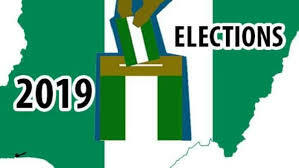 The initiative, promoted by the Dr. Kenny Martins -led LII believes that the spiritual factor is necessary to aid the Nigerian voters enthrone good governance by electing only persons that have been duly vetted into political offices. Martins, who is the grand patron of the group, flanked by other patrons including Bishop Bayo Babalola, Bishop Oscar Ossai, Prince Chudi Chukwuani and the group’s national secretary, Chief Johnny Ucheagha at its media unveiling in Lagos, on Wednesday, explained roles played by the group in stabilising the country’s democracy. He, however, lamented that the group’s efforts had been seemingly frustrated by the enthronement of leaders without capacity to drive the country, saying despite the abundance of churches and mosques in the country, the God-factor had been totally removed from governance. “We are canvassing for PVCs and people are getting aware, the Adeboyes, the Oyedepos are doing so, but when they have gotten these PVCs, what do they do with it? It is inappropriate for Christians not to bring their first eleven in moral quotient to governance, same with Muslims. “Let the first eleven from the religious leaders take over the government so that our country can move forward,”. Martins said. Also speaking yesterday, Prince Chukwuani, former national chairman of the National Democratic Party (NDP), identified good governance as a common thread tying Christian and Muslim leaders in the country. ‘‘We are about to go on the second lap of the meeting of all Christian leaders in Lagos, meeting of all Muslim leaders in Kano/Kaduna and this will be followed by a convergence of the two for peace. “We have to set a different narrative to save Nigeria. We do not want to introduce perpetual conflict in Nigeria’’he said. THIS BODY IS NOT INEC.EVERYTHING NEEDED TO PUT GOOD GOVERNANCE IN PLACE HAS BEEN DONE.SHUN RELIGIOUS POLITICKING.